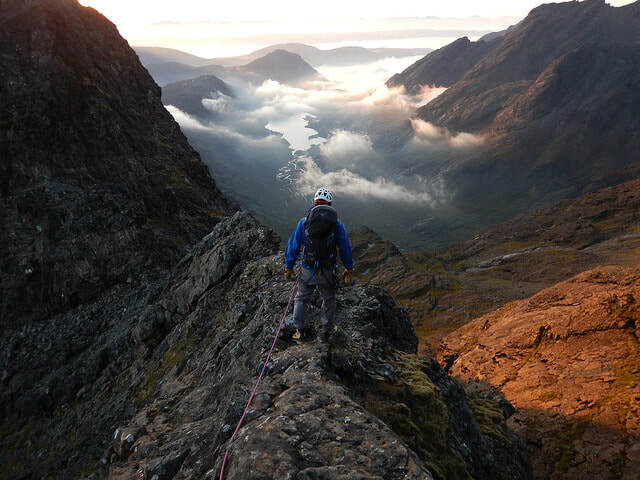 The Black Cuillin of Skye offer a unique experience of scrambling and climbing. A guided traverse of the entire ridge comprises 10km of continuous scrambling along the very exposed ridge, with rock climbing sections of up to grade 'Very Difficult' and many abseils. 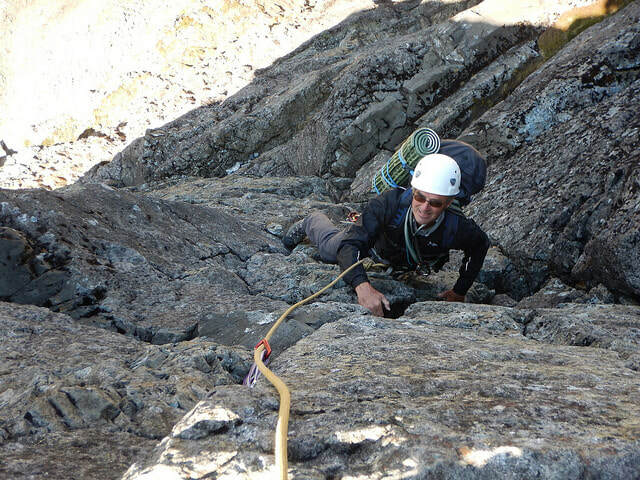 The famous Inaccessible Pinnacle is a key part of the full traverse. The whole expedition along the ridge normally takes two days with an overnight bivouac. This means carrying a sleeping bag, spare clothes and waterproofs and sufficient food and water (2 litres), so be prepared for two very long tiring days carrying about 10kg in your rucksack. Only very fit people will complete the traverse in two days! Taking three days or more on Skye increases the chances of success dramatically by allowing us to choose the two days with best weather for the traverse. 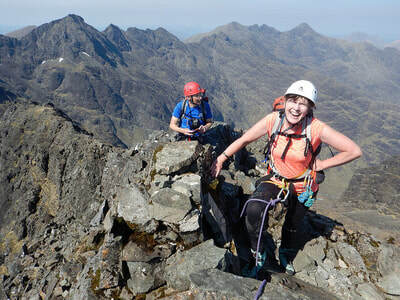 If you want to tick off all the Munro's but don't fancy doing a whole ridge traverse, take a look at our Cuillin Munro Bagging page. We can run guided traverses of the Cuillin Ridge on any days of the week so get in touch to check our availability and make a booking. We will only guide the full ridge traverse with a maximum of 2 clients. A ridge traverse only requires two days but we recommend booking three days so the best two days can be taken for the traverse. The third day can be used for climbing or scrambling elsewhere on the ridge. 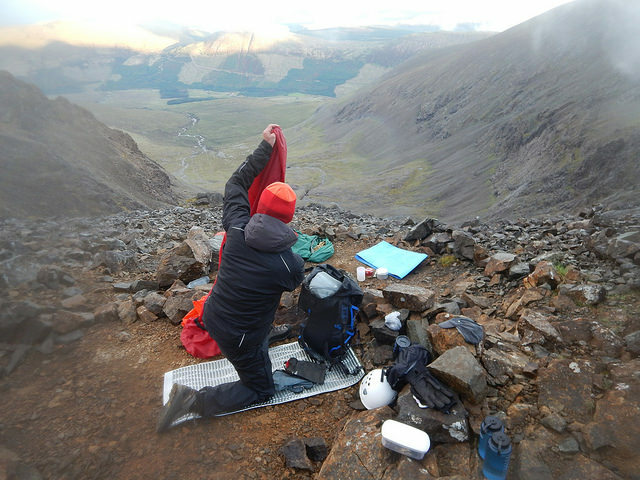 You will need to organise accommodation before and after the traverse, lunches, personal equipment and insurance.